Unfinished Grasswood Tzedakah Box. Use: Acrylic paint, markers, stamps, or cloth to decorate these Tzedakah Boxes. 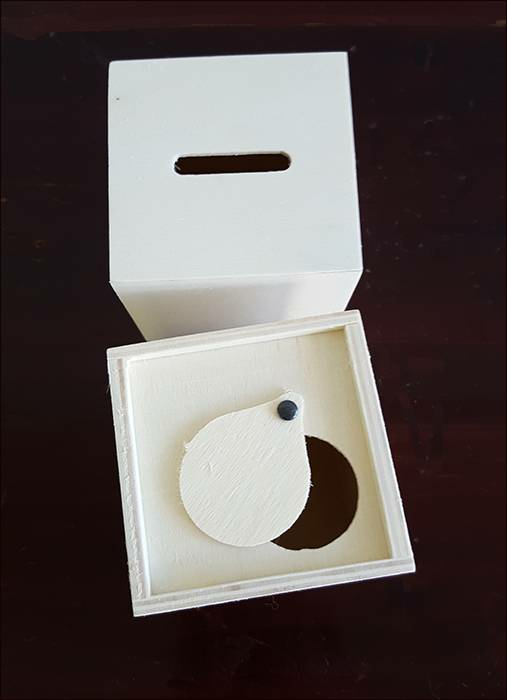 Cube-shaped box (3x3) with slot on top and slide out bottom.